When that special occasion calls for “high-gloss notoriety," let your imagination be the key that opens the door to an outstanding, successful event. Name Acts, whether a musical act, comedian, or any one of our unique and memorable novelty acts, bring a distinction that puts your program in a “star-studded” performance arena. Your guests will take the memory of these performances with them long after the entertainers have returned home. This delectable treasure of electric string talent brings the classics into the twenty-first century with sophistication and flair. The stunning show is designed to fit perfectly with the flow of your function incorporating famous classics along with a contemporary twist of great rock anthems. Perfect for that unique touch that will amaze your guests. 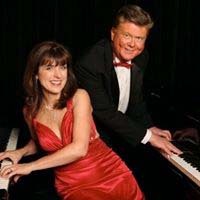 Marvel at an evening of humor, music and romance…brilliantly crafted around the best music of the 20th century and performed by two award-winning artists. This is an unforgettable evening of music featuring two Grand voices, two Grand pianos and plenty of Grand music! This headlining act, along with the technology of projection screened videos is a collective entity of great talent, high-energy and award musical selections, making them an outstanding jewel of entertainment. Imagine... as your guests enter the room, they are greeted by waiters passing hors d'oeuvres and wine. 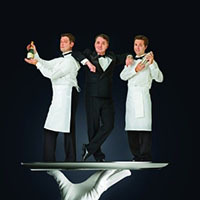 Mixed in with the real waiters, however, are three talented opera singers. This act presents the sophistication of classical opera combined with an element of fun. Because of the vast repertoire of each performer, the act can be easily customized to suit your particular requirements. Be it a dinner party of twelve or a ballroom of 1,000, this concept has been proven equally successful with audiences of all tastes.